From cupcakes to cronuts, fad foods in America tend to inspire a momentary and mouthwatering mania -- until the buzz begins to subside, waiting lists shrink and lines out the door inevitably diminish. 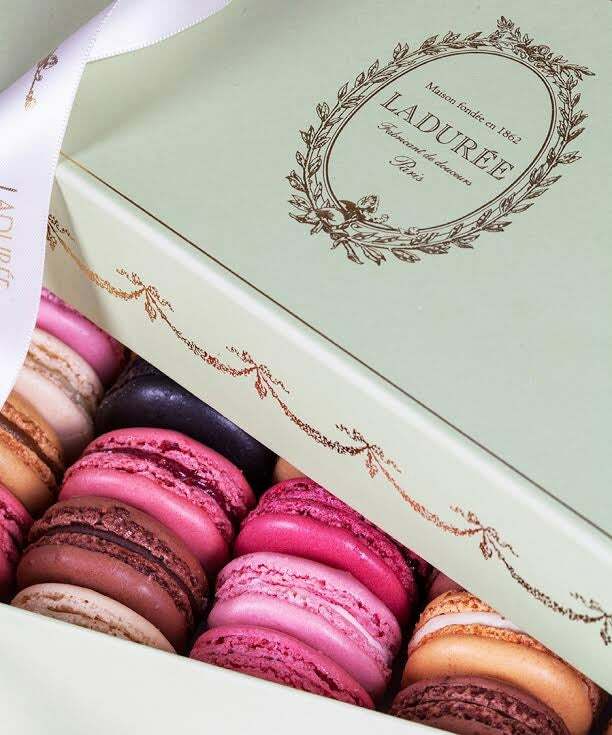 However, if history has anything to say about it, the family-owned Ladurée brand is betting that French macarons are here to stay. The 150-year-old, meringue-based confections were conceived by a tiny Parisian bakery that rose to prominence at the turn of the 20th century. With a brittle exterior and a bite as light as air, Parisians flocked in droves to Earnest Louis Ladurée’s shop, one of the city’s earliest tea salons. The Holder family was just one of many who made the excursion to Ladurée a Saturday morning ritual. But the Holders -- already proprietors of several other baking franchises -- were seeking more than just a sugary fix. In 1993, they acquired the macaron-maker with the intention of spinning its lone shop into a global chain. Their timing, it turns out, was prescient. After opening a flagship tea salon location on the Champs-Elysees in 1997, the macaron's popularity took off. And shortly thereafter, other countries caught wind. 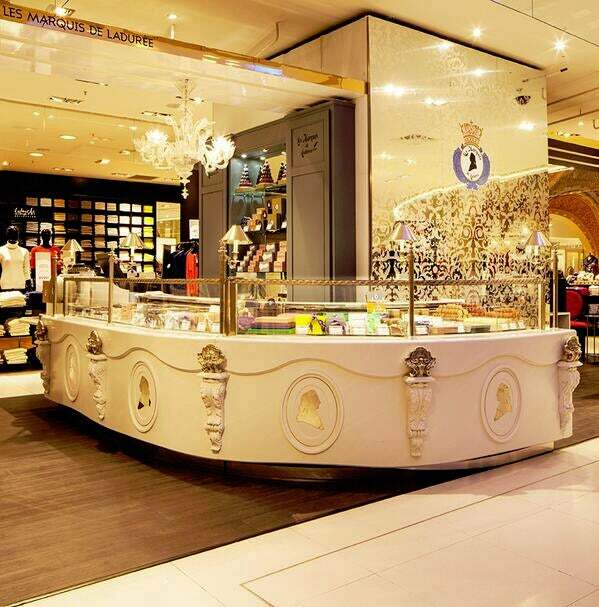 Today, Ladurée touts more than 40 shops in markets as varied as England, Monaco, Japan, Turkey, Kuwait and Saudi Arabia. American appetites for the macaron were most notably piqued by Sofia Coppola’s 2006 film Marie Antoinette -- in which the pastries (furnished by Ladurée) were lavishly showcased in soaring pyramids and vivid hues. Today, Ladurée’s American operative is piloted by fourth generation Holder family member, Elisabeth, and her husband, Pierre Antoine Raberin, who moved their family overseas almost three years ago to pursue what they deferentially call “the American Dream.” To say that that dream has been realized today is a testament to the family’s intuitions and an aggressive expansion strategy. Now, Ladurée is aiming to replicate its success on the Champs-Elysees with its first American flagship location in New York City, opening on Wednesday. In an exclusive interview at a Soho construction site just weeks before its doors were slated to open, leopard-print carpeting was being unfurled and custom white moldings were being installed while contractors snacked on bite-sized pastries and a buttery aroma wafted in from the kitchen. They also represent a much-coveted token of affordable luxury. At Ladurée’s retail store on New York's Madison Avenue, which opened in 2011, the tiny treats sell for $2.80 a piece. Ornate packaging (the brand’s mint green boxes are notorious) and a sumptuous interior design ethos in the vein of Napoleon III -- antique sculptures, marble surfaces and frescoed ceilings -- have also distinguished the storied brand from a recent crop of competitors, Holder said. This is a vital mark of distinction when even McDonald’s (in Europe) has started selling macarons. Though the New York flagship undertaking is enormous -- literally some 5,000 square feet -- it only marks Ladurée’s first major attempt to take a bite of the American market. This month, the brand will unveil a smaller retail outpost in Miami that will simply offer macarons, ice cream and champagne. And in April, macarons will be available for purchase nationwide via a newly-launched ecommerce site. The transformation of an age-old confection into what feels like a new, hot fad would suggest that a keen commercial instinct runs through the Holder family blood. Elisabeth’s brother, David, is the worldwide president of Ladurée. Their father, Francis, serves as chairman of Groupe Holder and was the architect behind the PAUL chain of bakeries that originated with one storefront in France and now counts over 450 locations worldwide. And, as history would have it, Elisabeth seems to be repeating this very model with her own brood. At 5, her twin sons have already begun to show an interest in the family business, asking questions before bedtime like, “How is bread made?” and rolling croissants in the company kitchen alongside Ladurée’s renowned chefs.